Canada is known internationally for its wilderness, having a cold climate and generally being full of nice people. Besides being makers of maple syrup and players of hockey, Canada is also a great place to run a business. Smaller than the U.S. market, yet similar in structure to its bigger cousin to the south, Canada makes an ideal place to pilot your business overseas. 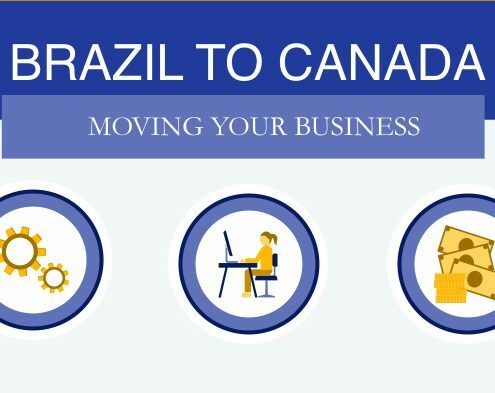 Below are the top reasons why incorporating a business in Canada is a good idea. When setting up a small or medium-sized business in a some countries, there may be that moment when something goes unexpectedly wrong and the only thing that may speed the process is money. It can be a challenging and frustrating experience. In Canada, this experience is almost non-existent. In the perception of corruption, Canada is the highest ranked country in the Americas and ranked overall at 9 out of 174 countries, according to a global ranking by Transparency International. 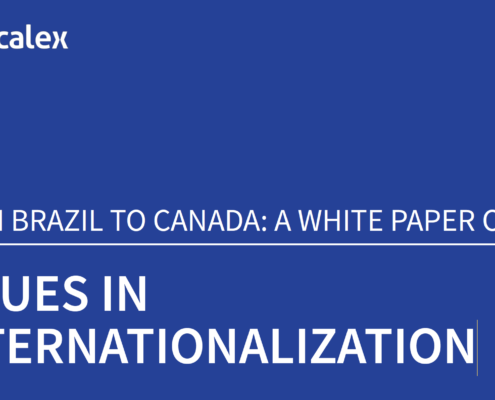 Canada’s ranking was above the United States (16) and way above Brazil (76). Canada is the neighbour to the north of the United States. They share the longest undefended border in the world and along it is where the vast majority of Canadians live. Canada’s infrastructure, roads, pipelines, and rail lines mainly lead south. Jokingly, Americans call Canada their 51st state. Canadians do not find this funny. Besides their close proximity, they share similar customs, values, and economic structures. They were up until 2015 each other’s largest trading partner, until the drop in oil prices. Canada and the U.S. have worked to establish free trade across their borders, signing the Free Trade Agreement and later the North American Free Trade Agreement. Their two economies are intricately linked, making Canada a good launching place to expand you business overseas into the U.S. market. Though Canada is heavily influenced by the U.S. economy and culture, Canada is in many other ways similar to Europe. With a large French speaking population, located primarily in the province of Quebec, close to 18% of Canadians can speak both languages. Like many European countries, Canada has a public health care system, a low crime rate and is socially liberal. Walking down the streets of old Quebec City or old Montreal, resemble the main streets of a European city. With a yet-to-be finalized European-Canadian trade deal on the horizon (expected by the end of 2016), the connections between Europe and Canada are set to grow. In Canada, it is easy to set up a business. With the right documents and following the right steps in can be done in a few days or less. The Canadian, provincial and municipal governments have tried to make it easy to set up a business. Compared to the dizzying experience in developing countries, where different government departments require multiple forms in a specific order with multiple requirements, the experience of starting a business is much easier. When expanding your business in Canada, your initial start-up costs will not be a major expense and it will not take long. In 2015, Ontario ranked as the top state (or province) in North America for foreign capital investment ahead of Texas. Meanwhile, Toronto ranked first out of of 51 international cities for total tax cost, according to KPMG’s Competitive Alternatives 2014 Special Report. Canada has an excellent infrastructure of rails, roads, airports and telecommunications. For infrastructure, Canada is ranked 13, the U.S. 14 and Brazil 70 out of 144 countries, according to a 2013 global competitive report by the World Economic Forum. Canada is a great place to conduct research and development. In Canada, the government spends more than industry on R&D relative to other OECD countries, resulting in a large amount of grants and loans available for companies willing to invest. 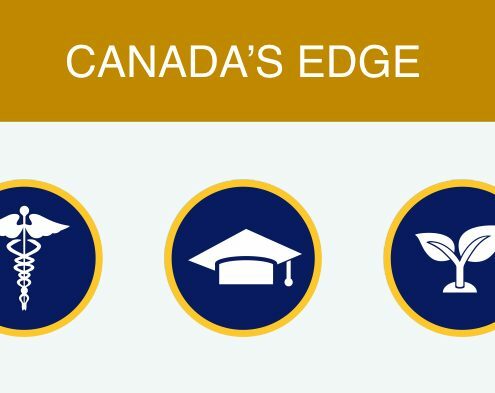 As well, in Canada many universities actively seek to partner with industry to conduct research as part of their mandate. The Canadian market is a smaller version of the United States, but without the expense of providing health care to employees. With 10 per cent of the population and gross domestic product, Canada has less competition than the U.S., making it a great place to pilot your business.